Cost to have metal roofing installed varies greatly by region (and even by zip code). Get free estimates from roofers in your city. Cost to have metal roofing installed varies greatly by region (and even by zip code). The cost of installing a metal roof is $6,700. How much does it cost to have metal roofing installed? Although most consumers are very familiar with tin roofing, there are other metals used to craft panels to serve as the primary material in a roof. Today, builders can offer aluminum and steel roofing too. Metal roofing can also be formed to look like shingles or shaped into long "standing seam" varieties that install as large sheets. For the purpose of this discussion we will explore the costs and materials needed for the installation of a metal roof on the average home. According to the United States Census, the current size of the average home is roughly 24'x45' and contains two full-sized stories. This is equal to 2200 square feet of which 1700 square feet is roofing. The average roof is also of a moderate pitch of 6/12 (which indicates that it will rise six inches in height approximately every twelve inches). Additionally, most modern roofs are very simple and streamlined, meaning that they will not have a great many angles that bump up overall costs. Can this be considered a DIY project? There are websites and even roofing vendors that insist metal roofing can be a DIY project for an "experienced homeowner", but it is not a simple or short term project and most homeowners hire a roofing contractor to install them. New Insulation: it is important to remember that any metal roof installation will always also include updated insulation too. 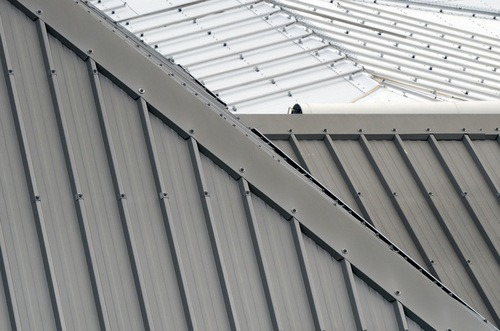 There are some manufacturers offering metal roofing which already contains a layer of soundproofing molded between the two sheets of metal, and this helps to greatly reduce outdoor sounds such as rain falling on the roof, or wind passing across the large expanse of metal sheeting. This is something that must be discussed with the contractor prior to the date of installation. Upgrade of materials: while many people envision a metal roof as an environmentally friendlier option with a long lifespan, many others use metal roofing to express their designer or personal style. Consider that steel roofing is available in the same styles as the aluminum, and can be corrugated, painted, flat or even zinc plated. Choosing this upgrade does come at higher prices, however. While it does provide the exact same longevity and wear, it will also cost at least twice the price for materials, bumping the steel roof to $8 per square foot installed. Roof sealant: applying sealant is a great option for preventing future leaks.. This typically costs $850-$1000 for a standard roof. Underlayment 2 is a waterproofing membrane always recommended to prevent the ingress of moisture and other elements. It also provides weather-proofing until the roof is installed. This can be found at approximately $61 per square or more depeding on its brand and quality. It is required depending on the type of roofing material and slope. Check local codes for requirements. How much does it cost to have metal roofing installed in my city? Cost to have metal roofing installed varies greatly by region (and even by zip code). To get free estimates from local contractors, please indicate yours. 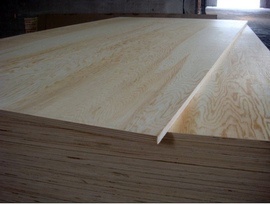 An image has been added to give the user a better idea of the type of material and roofing of this project.